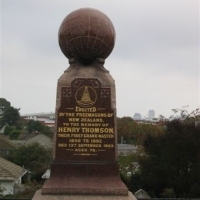 Thomas John Edmonds (1859-1932) was famed for his baking powder factory in Ferry Road, his ‘Sure-to-Rise’ logo and his donation of the Edmonds Band Rotunda to the citizens of Christchurch. John Edmonds was born in Poplar Lane in London in 1859. In June 1879 he married Jane Elizabeth Middleton Irvine. They emigrated to New Zealand arriving in Lyttleton that September on the Waitangi. John and Jane originally established a grocery store on Ferry Road, Woolston where they came to recognise the need for a reliable baking powder. Edmond’s set about experimenting while Jane ran the store. The business flourished and Edmonds’ products (including their cook-book) became a household word. The Edmonds factory was established not far from where he had originally been in business. Edmonds believed that his workers should have lovely surroundings in which to relax and created a famous garden for his factory. The business became a public company and, although Thomas John went into semi-retirement, he remained Chairman of Directors till his death. 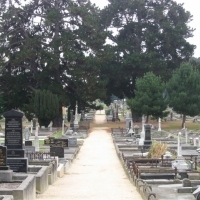 Thomas John also maintained a connection with the Australian Cream of Tartar Company – the trans-Tasman branch of the organisation – which supplied the raw material for the baking powder. In 1929, to celebrate 50 years since the arrival of the couple in Christchurch, Thomas John presented the band rotunda and shelter on the north bank of the Avon between Colombo and Manchester streets to the City. The rotunda was formally opened on the evening of 11 November. On the south bank, further east he established a clock tower with telephone and letter box. Francis Williams designed the tower, the Rennell brothers built it and William Trethewey carved the sculptural detail that Williams had designed. Sculptural elements were incorporated into the façade of the structure – medallions, gargoyles and a stylised fauna decoration. Identical medallions were positioned on the north and south sides of the tower and Trethewey carved them to represent Father Time in the likeness of Thomas Edmonds. Mrs and Mrs Edmonds went to Sydney to see the opening of the Harbour Bridge. On his return, T. J. looked to be in his usual good health. 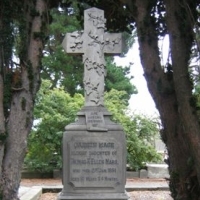 Then he fell ill, was diagnosed as having heart trouble and died on 3 June 1932. 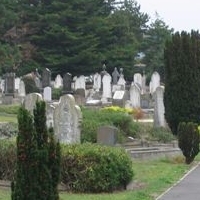 He left a widow, three sons and four daughters. Whilst the authors of this web page make reasonable effort to ensure the accuracy of the information shown, it is personal opinion and we take no responsibility for any inaccuracies or misinterpretations that may occur. Corrections may be included in this page via the Comment box below. I am a descendant of John Edmonds &Honora Melican of Dunedin Otago. Are they related at all. I have just been to New Zealand & bought the Edmonds cook book.